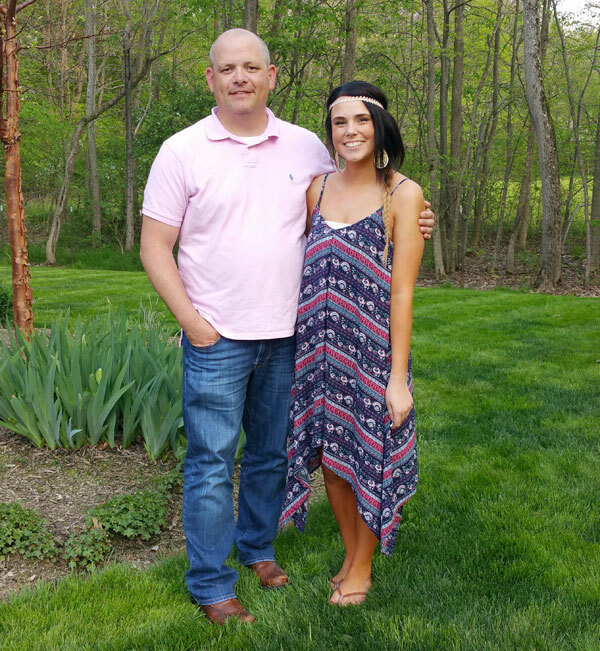 Rob Bell and Lexie Hodges are forever connected as he selflessly donated his bone marrow to her 6 years ago. They just met this past May. He lives in Austin, Texas, while she lives in Barberton, Ohio. He’s a 39-year-old U. S. Army logistics supervisor and former Marine who has seen much of the world. She is 20 and just embarking on adulthood after surviving childhood cancer. On the surface, it would seem Lexie Hodges and Rob Bell would not have much in common. But in fact they share an incredible bond – the gift of life Rob gave to Lexie as her bone marrow donor. Although the transplant took place in 2009, the 2 just recently had the opportunity to meet when Rob was in Columbus for training. At age 13 and in her first week of 8th grade, Lexie began having excruciating headaches and noticed a big drop in her energy level. 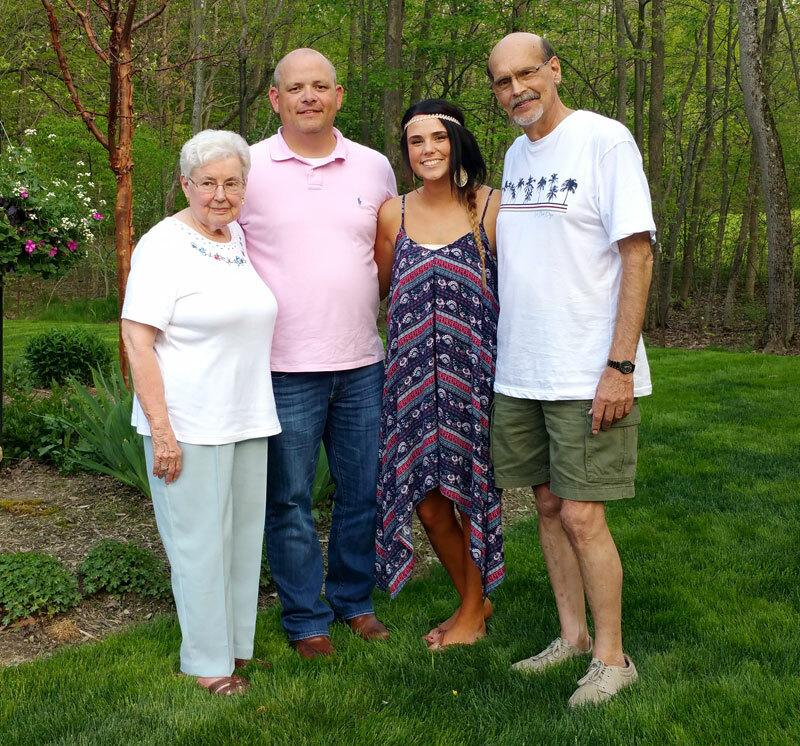 A week after the onset of her symptoms, she was diagnosed with myelodysplastic syndrome, which eventually lead to acute myeloid leukemia (AML). She needed a bone marrow transplant and siblings make the best matches for donors. But Lexie is an only child, so she became Akron Children’s first patient to undergo an allogeneic bone marrow transplant from an unrelated donor. Back in 2003, Rob entered the national bone marrow registry at a routine blood drive sponsored by the U.S. Department of Defense. It took a swab of the mouth and that simple act was far from his mind until he received a call in 2008 telling him he was a potential match for a young patient. After a physical exam and further analysis of his blood, he was deemed “the best possible match” for the patient. He agreed to be a donor and began a 6-week regimen of taking iron pills. He got word of a delay. The transplant would need to be postponed. Only later when he met Lexie did he learn the delay was a result of her MDS progressing to AML. Then, in March of 2009, he traveled to Georgetown University Hospital in Washington, D.C., to undergo the bone marrow harvesting. Around the 1 year mark after her transplant, Lexie was able to reach out to her donor to see if there was any interest in talking or meeting. She called Rob’s wife, Elizabeth, who contacted Rob, who at the time, was stationed in Iraq. Rob and Lexie had their first meeting via Skype. The experience has changed both Lexie and Rob. Lexie, who became close with many of her caregivers in Akron Children’s Showers Center for Pediatric Cancer and Blood Disorders, would like to pursue a career in a field related to medicine, perhaps as a nurse or child life specialist. She recently got an excellent bill of health at her annual appointment as part of Akron Children’s cancer survivorship clinic. “Dr. Savelli said all of my bloodwork was amazing,” said Lexie. One of the interesting discoveries Lexie and Rob learned: her blood type has changed to his since the transplant. Rob, who plans to retire from the Army in 2 years, is working on a master’s degree in healthcare administration. He said he can see himself working at an organization like Be the Match, the national bone marrow registry, or perhaps M.D. Anderson Hospital, which has one of the nation’s top cancer programs.